The partridge is not an in-your-face kind of bird. Most famous for singly sitting up a pear tree, these delicate game birds can often be overlooked in favour of more rambunctious game fowl like grouse, pigeon or mallard. 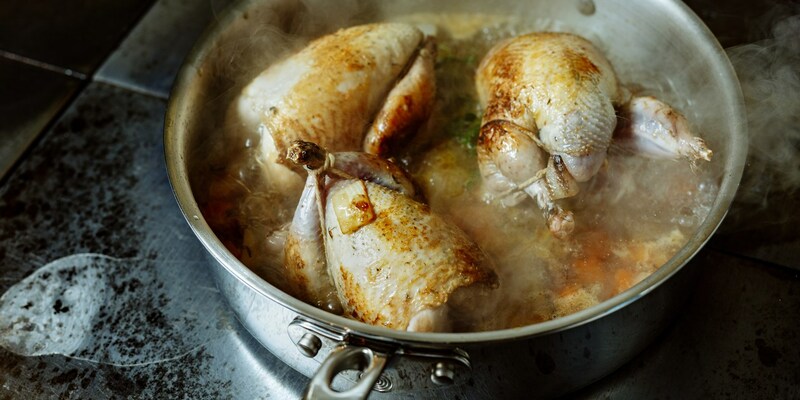 This should not put you off; in fact, the delicate flavour of the partridge makes it an ideal start for a game novice, with its delightfully gentle taste and succulent flesh. Thanks to its legendary connection with Christmas, partridge makes a great substitute for turkey over the festive period. Galston Blackiston serves up a partridge with pears and stuffing for a gloriously festive dish. If you want to inject a little partridge into your Christmas feast without going the whole hog, try James Mackenzie’s partridge and sausage rolls – a gorgeously gamey snack on a winter’s day. Partridge isn’t just for Christmas, though. Robert Thompson’s spectacular partridge recipe is paired with truffle, artichoke and shiitake mushroom for a beautifully autumnal recipe perfect for game season.